We can provide help, advice and practical assistance to help your practice grow. Upgrade your old website to a new responsive website. Creative Online Marketing for Legal Practices. Interactive Law is one of the longest established, online legal marketing companies in the UK. We specialise in bringing clients and solicitors together in a friendly and professional manner. We pride ourselves on our customer service which we believe is second to none. Our legal websites are the envy of many of the UK's top referral companies as our websites rank are so highly ranked on Google, making us accessible to millions all over the UK. We currently operate a number of legal websites which provide the public and small businesses with easy to understand information on a variety of legal topics including Family Law, Employment Law, Contentious Probate and Professional Negligence. Unlike many referrers we provide the facility for clients to be able to directly make contact with your practice by telephone, email or via your own website. By operating in this way we can avoid unnecessary delays and reduce the risk of a client going elsewhere. 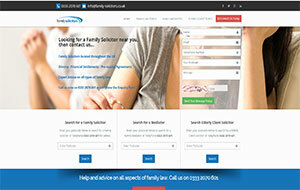 Search for a family solicitor, mediator or elderly client solicitors on one of our most popular legal web sites. 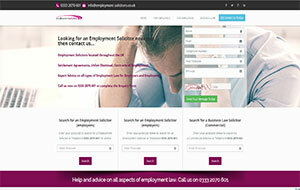 Employment solicitors for employees, employers and small businesses. 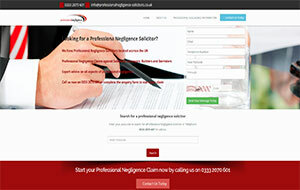 Search for a Professional Neglignece solicitor on our professional negligence web site. 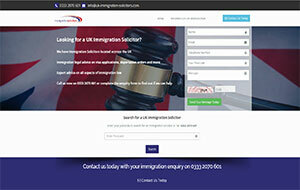 Search for an immigration solicitor with one of our latest legal web sites. Contact us to today to find out how we can help. © Copyright Interactive Law Ltd. All Rights Reserved.